Mike Botz is ready to join your project team as a contract process engineer to assist with the various phases of project development. Having teamed with corporate engineering staffs and many EPC/EPCM firms worldwide, Mr. Botz is familiar with project delivery practices and the interaction required with a multi-disciplinary project team. 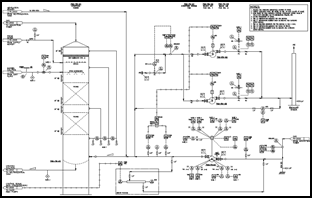 If you’re preparing a pre-feasibility / feasibility study or commencing with design of a plant, Mr. Botz can provide technical expertise to ensure rapid completion of the upfront process design phase. Follow this work into commissioning to confirm plant performance meets established performance criteria. The above are often accompanied by a steady-state and/or dynamic process model, which is provided as part of the complete package. Completion of a hazard review at this stage also ensures critical safety-related devices/systems are included in the design at the earliest phase. A Process Design Package is useful when bidding detailed engineering to ensure the project scope has been thoroughly defined. Conceptual construction and operating cost estimates are critical in evaluating project viability. By preparing cost estimates early in the project, key decisions can be made before significant design work has commenced. 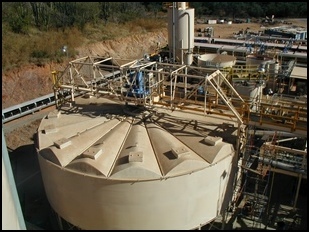 Cost estimates prepared at the ±35% accuracy level allow for quick screening of process alternatives and assist in determining if a project meets established financial goals. Before transitioning a plant into commercial operation, full commissioning is key to ensure equipment, control systems and safety-related devices have been properly tested. 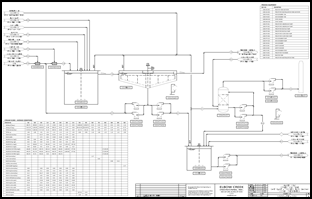 As an experienced process engineer, Mike Botz can help you document plant performance under a step-by-step approach and then confidently transition the plant into commercial operation. A broad scope for commissioning will also include upfront preparation of plant operating manuals, followed by training of operations/maintenance staff as part of commissioning activities.